If your keychain holds nothing more than your keys, then you’re doing it wrong. Revamp your everyday carry situation by scooping up these limited-time deals on unique portable accessories, like lightweight carabiners and a key tracker-slash-organizer. You’ll save up to 52% on your purchase so long as you act quickly. Armed with a stainless steel Tanto blade shaped in the classic katana form, the Pocket Samurai keychain knife aims to help you accomplish tasks with the dexterity of a legendary Japanese warrior. It’s available in two different finishes — black and gray — each of which is ultra-durable, and comes with a built-in money clip for added convenience. With a Collective Carry Glowing Vial equipped, your keychain is lit… literally. After a mere 10 to 15 minutes of sunlight exposure, these nifty, self-sustaining light sources can illuminate dark places for hours on a single charge. A modern, everyday version of one those rock-climbing doohickeys, the Key Titan KT5 Carabiner is a Grade 5 titanium tool that features two clipping areas — one for your keys and one for hanging the unit — to prevent accidental drops. Among its many innovative features is a suppression ring that shushes your jingling keys and a concealed bottle opener. This sleek key organizer can carry up to 10 keys within its stylish, durable leather exterior. Plus, it’s compatible with all sorts of cool add-on accessories like USB drives, bottle openers, and more; just visit the KeySmart website to upgrade your gadget. The KeySmart Pro expands upon the functionality of the original KeySmart organizer by integrating Tile™ Smart Location technology, thus making lost keys a thing of the past. Simply sign up for an account on the Tile™ app and you’ll be able to use your phone to ring or locate your keys on a map within moments. This ain’t your average keychain: Bomber’s ultra-strong gizmo is constructed from one-and-a-half meters of 550-pound, military-grade emergency braided paracord so that you’re fully prepared for virtually any survival situation. Oh, and each keychain comes with a lifetime guarantee that guarantees its durability. 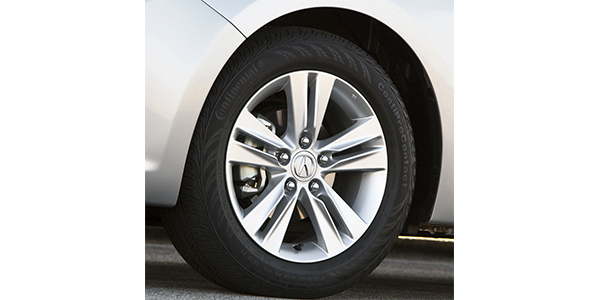 The Acura Tire Fill Assist system on some Acura models is designed to help drivers set the correct tire pressure by flashing lights and horn. But, it can activate when you are servicing the vehicle. 1. Start the vehicle and stop near the lift or bay where you are inflating the tire. Shift into Park (P) and turn off the vehicle. 2. Restart the vehicle. The tire fill assist system is activated for five minutes. 3. Fill the tire. The system beeps and the hazard lights flash once every 4 seconds as tire pressure changes while below the correct pressure. 4. When the correct pressure is reached: The system beeps and the hazard lights flash continuously for 5 seconds. Stop filling the tire. If you overinflate: The system beeps and the hazard lights flash twice every 3 seconds. Some 2011-’12 Edge and MKX vehicles may experience a squeaking noise coming from the front of the vehicle when turning right at slow parking lot maneuvers. 1. Inspect the roll restrictor heat shield for witness marks that indicate contact was made with the engine roll restrictor-to-subframe retaining bolt head (see Figure 1). a. If witness marks are present on the roll restrictor heat shield, proceed to Step 2.
b. If no witness marks are present on the roll restrictor heat shield, do not continue with this article. Refer to Workshop Manual (WSM), Section 100-04 for normal diagnostics. 2. Increase the air gap between the engine roll restrictor-to-subframe retaining bolt and roll restrictor heat shield by performing the following steps. a. Place a 3/4” block of wood or equivalent to support the tip of the roll restrictor heat shield to ensure the exhaust pipe to roll restrictor heat shield clearance is not reduced (Figure 2). b. Place a flat-bladed screwdriver on the engine roll restrictor-to-subframe retaining bolt head. c. Reposition the roll restrictor heat shield away enough to gain 1/4” of clearance. d. Remove the block of wood and ensure there is a minimum of 15 mm (19/32”) of clearance between the exhaust pipe and roll restrictor heat shield.